With the number of alchemists we see in every one of Gust’s Atelier series, it may be easy to forget that, well, there are more normal people in these hypothetical countries than magical ones! As critical as these creators are, what about the people in charge of determining those tasks that the cities give the area’s ateliers every few weeks and months? What are their lives like? 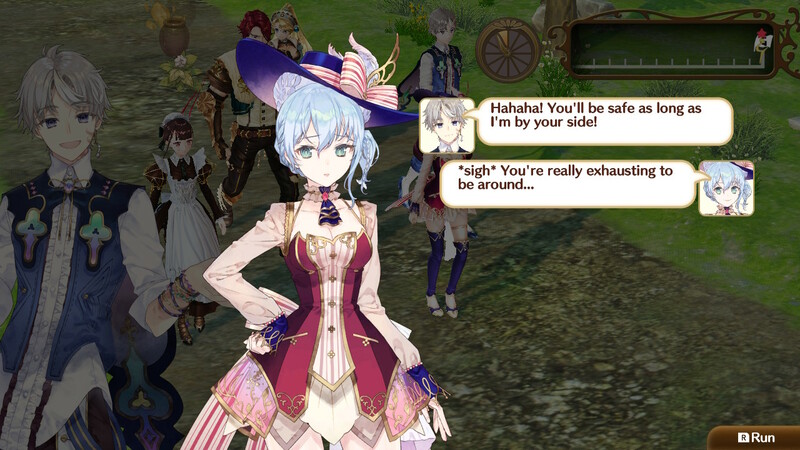 Nelke and the Legendary Alchemists: Ateliers of the New World gives us a glimpse into that kind of life is like. Surprisingly, bureaucracy isn’t all that boring! Nelke is a noble who always wanted to be an alchemist. Though she tried to learn the schools, she didn’t possess that sort of talent. Instead, she decided to go into city management, since it meant she would get to help improve areas without alchemy, without having to actually perform any syntheses on her own. Her father allows her to go and act as Westbald’s administrator, but then places objectives upon her. She must continually improve the village and make it a bustling trade center, or she will be forced to return home. So begins the delicate process of building up the area, attracting villagers, gathering materials, making desirable products, investigating the area, performing necessary research, getting to know the people around her, fulfilling their wishes, turning a profit, then reinvesting back into the area so she can do all of those things again. Oh, and maybe also learning more about the supposed Granzweit Tree Sage Relic reported to be in the area. This progression means Nelke and the Legendary Alchemists functions in a very different fashion, eschewing JRPG staples in favor of a city management simulation. This progression means Nelke and the Legendary Alchemists functions in a very different fashion, eschewing JRPG staples in favor of a city management simulation. Depending on the sort of day it is, Nelke will have different responsibilities to carry out. On a Work Day, you will be dealing with things in-town. This means constructing buildings, laying down roads, placing city beautification objects, assigning people to different jobs, choosing what items will be created, produced and sold, and generally handling various city management tasks. This is the main Menu portion of the game, where you see what your current inventory is like, determine if you have enough to make recipes that will increase your profits and make citizens happy, and task people with jobs that suit them. Basically, you pore over your requests, building options, necessary commissions and tasks, in the hopes of ensuring you are doing what is best for the people around you and keeping their satisfaction levels up. If it is not a Work Day, then it is a Holiday. These are days that, well, still involve going through a lot of menus! The focus is more personal, though. 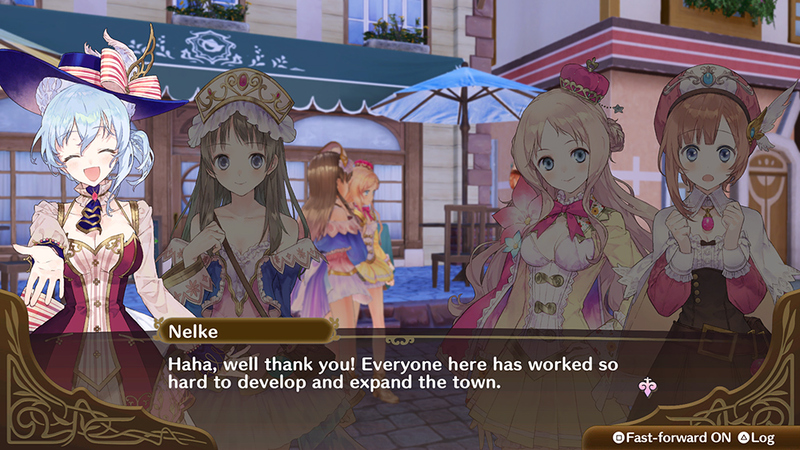 Nelke can visit with iconic Atelier series heroes and heroines who have shown up to visit with them to boost relationships, investigate nearby areas to find new materials and face monsters, conduct research that could make Westbald a better place to live or help everyone find the Granzweit Tree or check on the various Tasks that have still been assigned. Getting to know people can make them possible party members for Investigations, give you fun event scenes, make characters stronger and provide new tasks. The Investigations are the most exciting portion here, as they provide a chance to go on actual JRPG-style trips to areas you have paid to unlock with different party members and take part in streamlined, turn-based battles against iconic enemies for more materials. 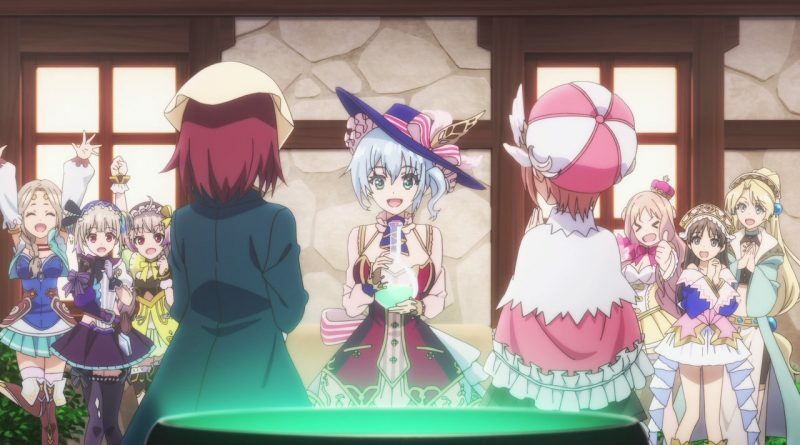 What is notable about Nelke and the Legendary Alchemists is its approach to time. 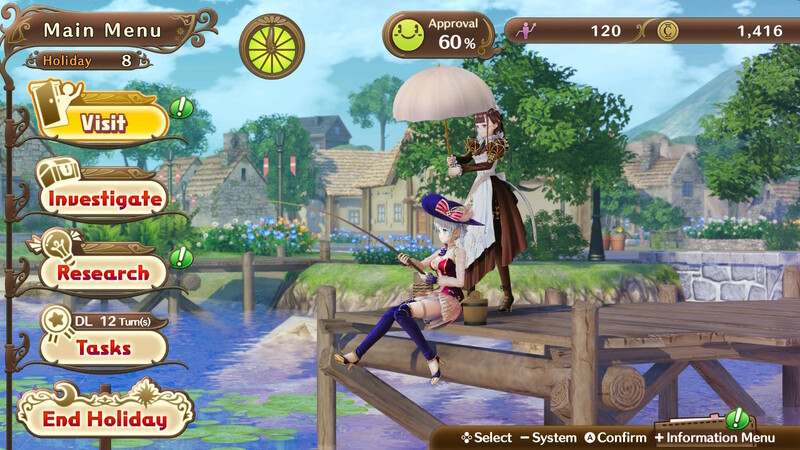 There are certainly limits here, as is common in the Atelier series, with players assigned missions that must be accomplished in order to keep succeeding. Here, things feel extraordinarily forgiving even without difficulty level options. Tasks start out simple, asking for certain population levels or profits, only gradually assigning milestones that seem easy enough to accomplish. The optional National Policy requests issued by Nelke’s father, which tend to request certain numbers of items that could be difficult to make via alchemy, are sometimes the only ones that feel like they have real stakes. As for Holidays, the game clearly shows you a clock letting you know how many blocks you have, letting you distribute your time to your liking. You can even speed up Investigations by running to reach the treasure at the end of each area, if you want a bonus, but see that clock ticking down. Nelke and the Legendary Alchemists often feels like a mobile simulation, but in a good way. There is a clear division of time. You have all the information laid out in front of you. About a half an hour is dedicated to tutorials walking people through every Work Day and Holiday activity. However, there are no in-app purchases, stamina requirements, timers, or other trappings that makes these city management apps infuriating. It distills that sort of experience into something that is easily digestible and engaging. Objectives are clearly placed in front of you. Facilities, materials, people and recipes come in at a good pace. There is a Wishlist option that helps you highlight specific items you need to create or sell, to make wading through the multiple menus easier and remove the need to constantly consult the Task list. It also has an Achievement area that rewards you with points to trade for items to make people better. It creates the kind of addictive feedback loop mobile games attempt to achieve, without the eventual wall that would require people to start investing real money or unreasonable amounts of time into it to succeed. Nelke and the Legendary Alchemists often feels like a mobile simulation, but in a good way. This is especially noticeable when having alchemists create in town or take part in Investigations. 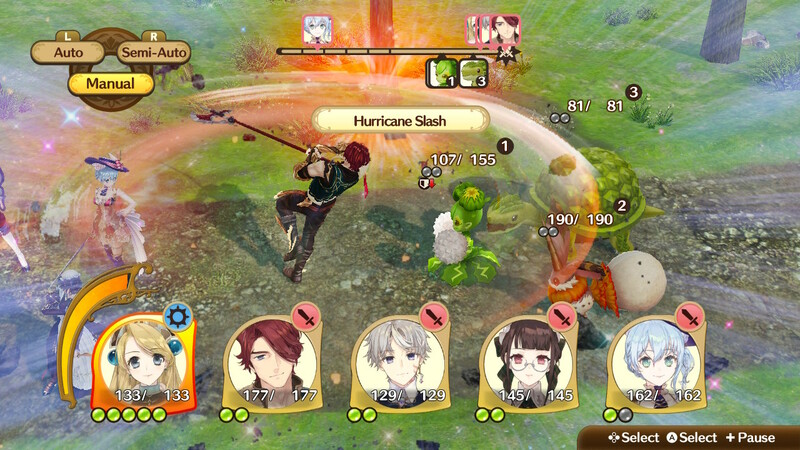 Alchemy in traditional Atelier games have limits in place, where someone might not be able to create certain fusions until they reach certain levels, have certain experiences or collect recipe books. Here, recipes are doled out freely and the only thing keeping you from creating specific items is if you haven’t accumulated enough of the materials to manufacture them. With Investigations, costs to unlock new paths in areas are relatively inexpensive, people can easily be leveled up through Visits or by paying to increase the amount of experience earned at an investigation area and by just undertaking the experiences yourself. You have five character parties, with some people (usually alchemists) acting as supports with created items they are known for, and incredibly simple battle commands that limit you to a few (typically handy) options on any occasion. There is a lot of positive reinforcement here. Another element of its "feel good" approach comes from Nelke and the Legendary Alchemists‘ fanservice. This is the Atelier 20th Anniversary spin-off, which means almost every character from every installment in the series is here. It uses the "alternative worlds" excuse as a reason for everyone showing up there, and leads to people from localized installments (like the Arland trilogy), unlocalized installments (paging Atelier Marie and Elie), and games that don’t always fit well into the timeline (Mana Khemia). This is the Super Smash Bros. of Atelier; everyone is here! What people might also appreciate is that the game pretty much introduces people in chronological order. For example, Atelier Marie: The Alchemist of Salburg was the first installment in the series in 1997, and Marlone is the first character to come to Westbald. Also, the more time you spend with characters during visits, the more care the game takes to establish who they are and what they were like in their original games. In a way, it can feel like Nelke is the ultimate self insertion character for fans of the series. People get a chance to choose which alchemists they get close to. They determine which events they see with different characters. You get to direct their actions and determine how they help the town. She is an outlet for the interactions, and the fact that the Nelke and the Legendary Alchemists can tend to focus on the alchemists from throughout the series and their activities more than Nelke herself lets us use her more as a window into this world. She allows people to be an observer and appreciate the way different characters from different timelines and world react to one another. 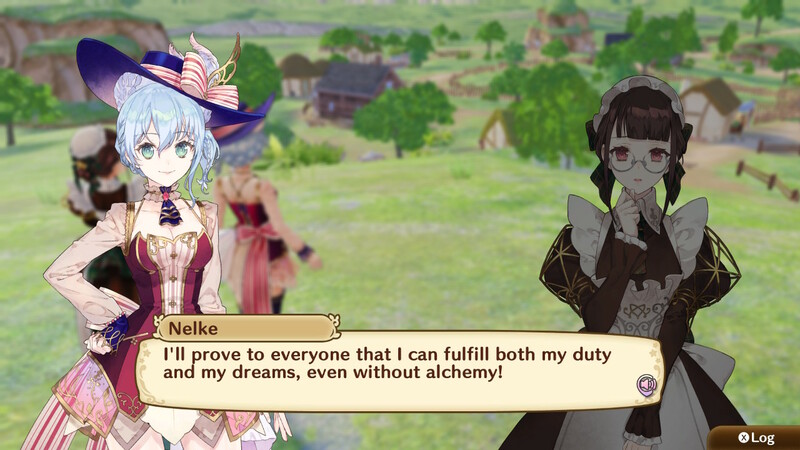 Nelke and the Legendary Alchemists is a very different sort of game. It has an unconventional approach, but one that does fit within the series’ lore. We often see alchemists in Atelier games getting edicts from administrators. Now, we’re watching an administrator determine how to best accomplish goals, assign tasks, improve a town and make a bustling city. Lots of familiar (and unfamiliar) characters from the series are here, giving people a chance to remember people they loved and learn more about ones they didn’t. The actual gameplay is fulfilling enough, never demanding too much. It does feel like it draws a lot from mobile apps, in a way that might turn some off since it is already a very different sort of game and then is about managing things through many menus, but it feels like it does a good job of making major milestones manageable.